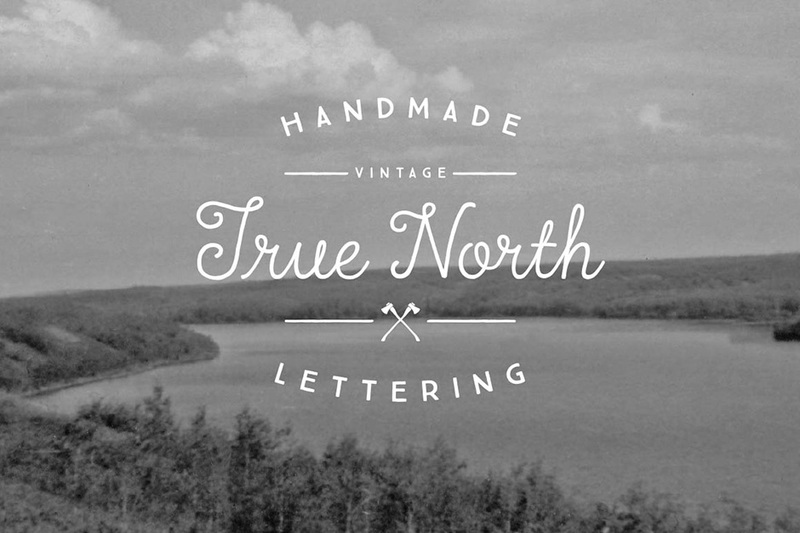 True North is a handmade vintage inspired font and monoline script that comes with wonderful illustrations. • 166 Vectors Extras (Illustrator and .EPS files). These vectors include wild animals, tools, catchwords, numbers, symbols, maple leaves, mountains and trees. File size is approx 4.9MB (13.6MB unzipped), offered as a single download.